Dr. Liu has been at MIDAS since 2016. Prior to being the Managing Director, her duties included strategic planning and coordination of research activities and industry partnership, with the overarching goals of advancing responsible and reproducible data science and building the U-M data science community. She worked with the research teams funded by MIDAS Challenge Initiatives and was involved in developing new initiatives. She ran research workgroups for data scientists across U-M schools and colleges to foster innovative research. She developed industry partnerships for joint research, talent recruitment and data science education. 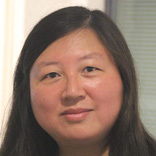 Dr. Liu’s past research management experience includes coordinating mental health research, biostatistics support for clinical research, and grant proposal review. Her research experience (faculty, postdoctoral and graduate study) includes visual and cognitive neuroscience, human brain imaging, animal electrophysiology, genetics, and most recently science policy. She also writes and translates about science and education, and has received multiple awards including China Book Award and China National Library Book Award.